Bruce Jenner attends the Cantor Fitzgerald and BGC Partners annual charity day on Sept. 11, 2013, in New York. In a two-hour interview that aired Friday night, Bruce Jenner told Diane Sawyer that he identifies as a woman. Jenner spoke about his life-long struggle with his gender identity, and touched on many of the difficulties facing transgender and gender non-conforming people. My colleague Mona Chalabi has written before about how little we know about the transgender and gender non-conforming population in the U.S. The best information we have comes from a 2011 report called The National Transgender Discrimination Survey Report, published by the National Center for Transgender Equality and the National Gay and Lesbian Task Force. 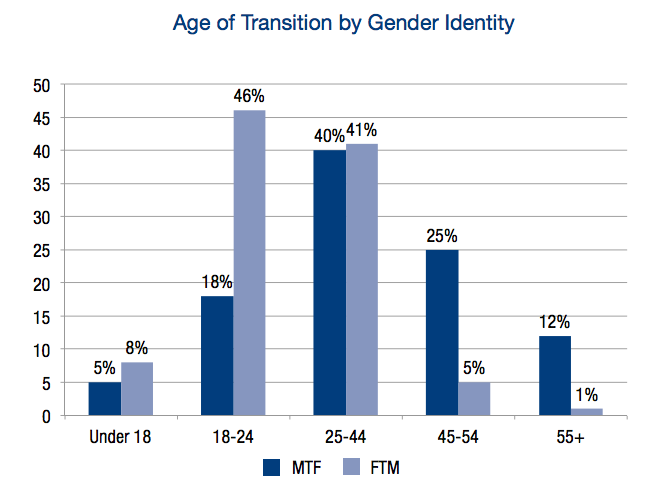 The report is based on survey responses from 6,456 people who identify as transgender or gender non-conforming. 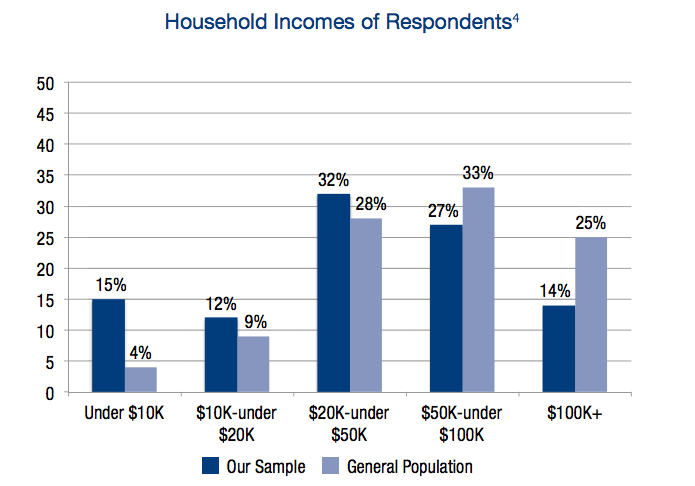 This finding raises a difference between Jenner and the transgender and gender non-conforming population covered in the survey: his wealth and status as a former Olympic athlete and more recently as a star on E!’s “Keeping Up with the Kardashians.” Unemployment among survey respondents was twice as high as the national average, and survey respondents were much more likely to be living in poverty and much less likely to have a household income of more than $100,000 per year than the average American. Jenner also discussed the difficulty of sharing his gender identity with his family, many of whom appeared in the interview to express their support. That support is important for people who come out as transgender. According to the report, 57 percent of those surveyed experienced family rejection, which was highly correlated with other negative outcomes. Those who experienced family rejection were almost twice as likely to have attempted suicide and three times as likely to experience homelessness. The report found that the older the survey respondent was at the time of transition, the less likely they were to have experienced homelessness. 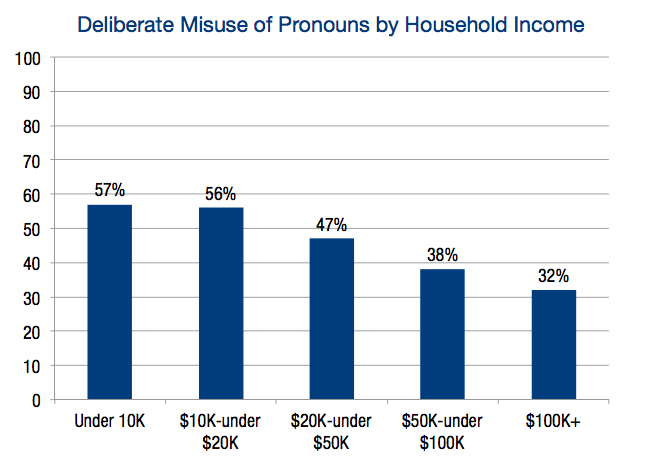 “A possible explanation is that prior to a late-life transition process, these respondents may have hidden their transgender identity or gender non-conformity and thus been better able to preserve jobs and secure housing over time,” the report said. Most of those surveyed had transitioned between the ages of 18 and 44. Jenner’s first experience with transitioning, when he was in his 40s, fell into that range. But after five years, he lost his “nerve” and stopped the process, he told Sawyer. Now, at 65 years old, Jenner is well above that group in age.